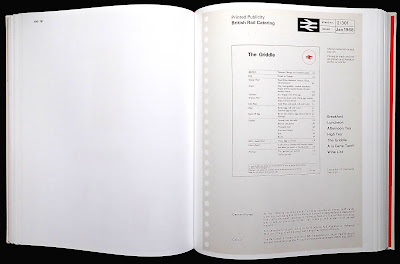 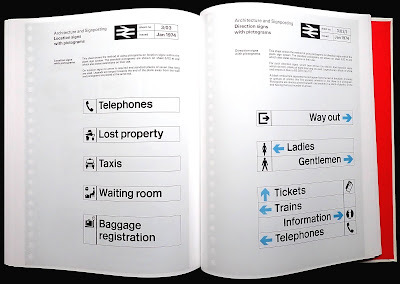 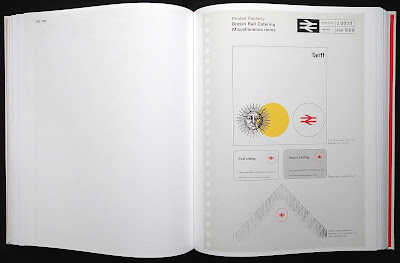 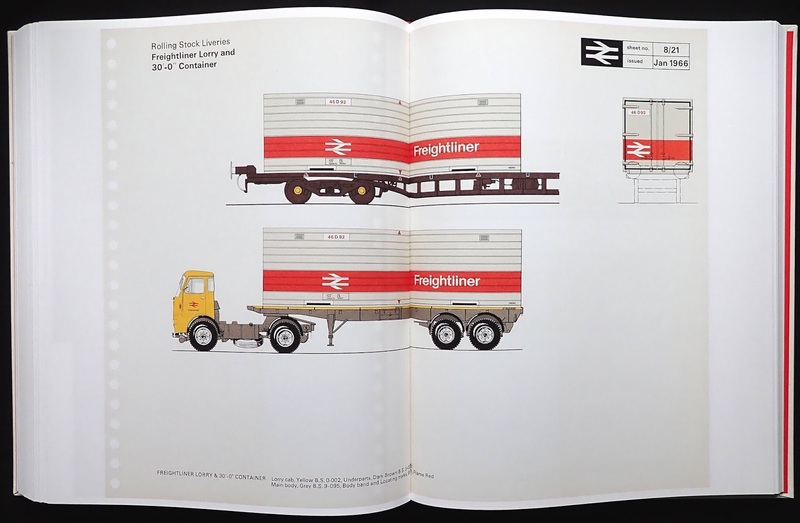 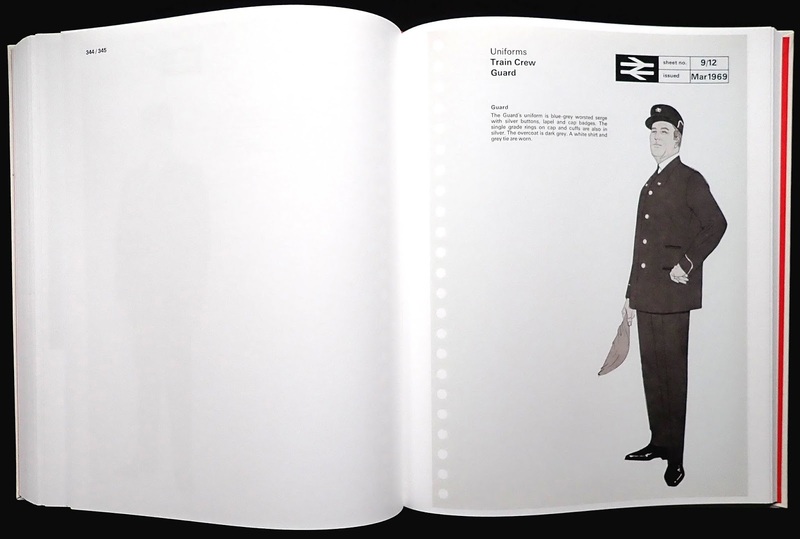 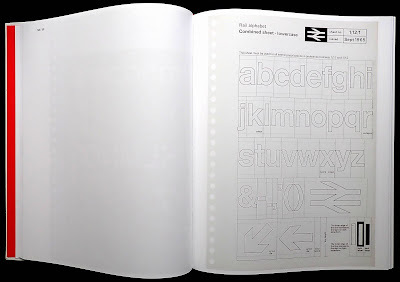 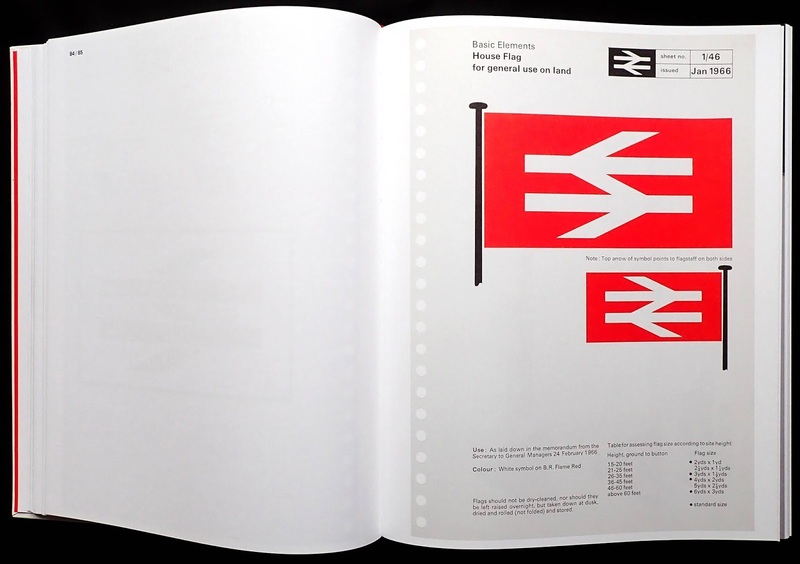 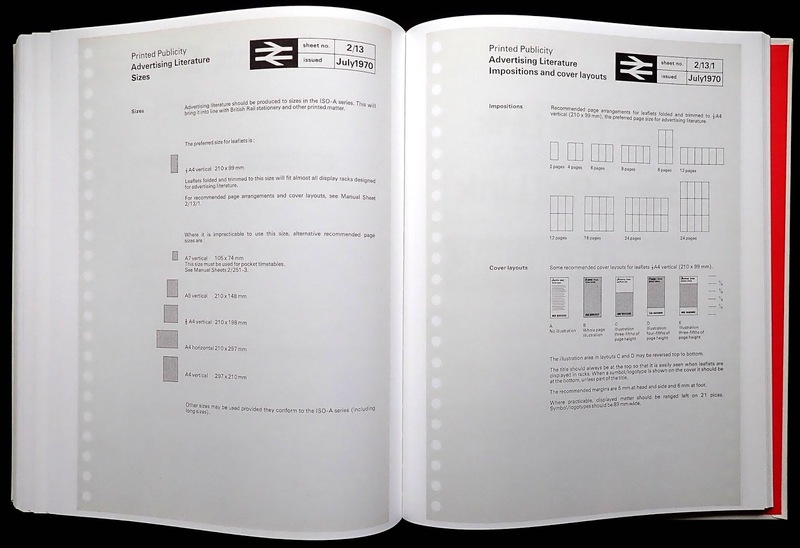 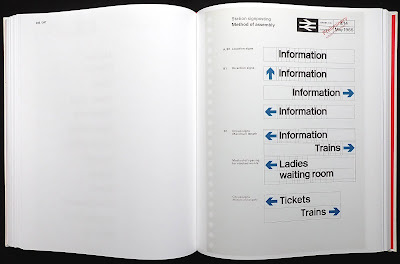 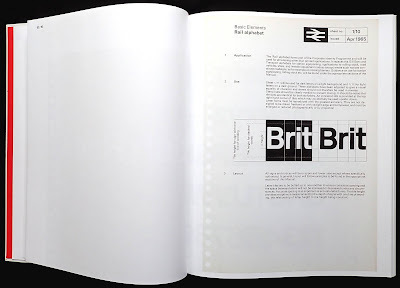 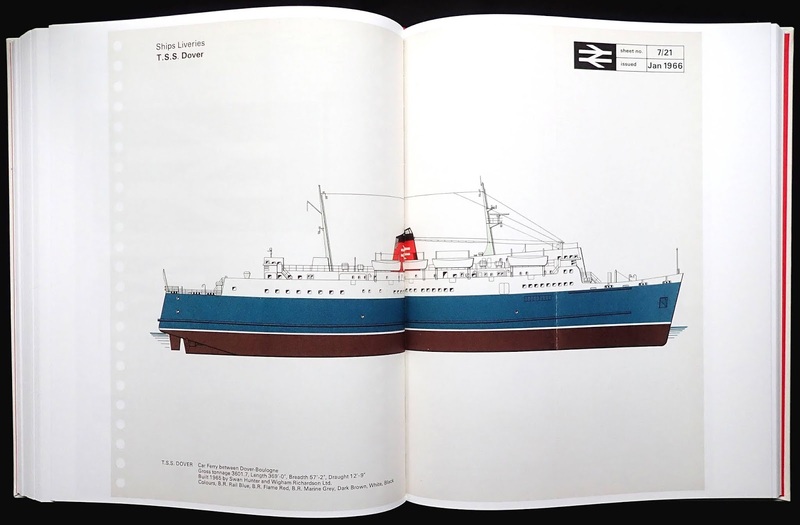 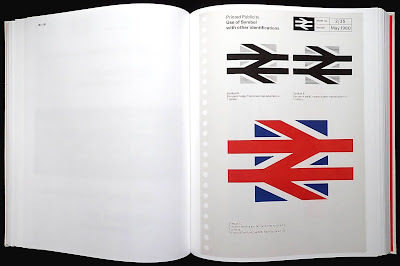 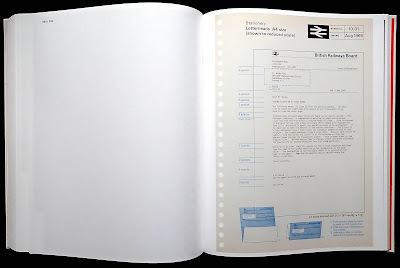 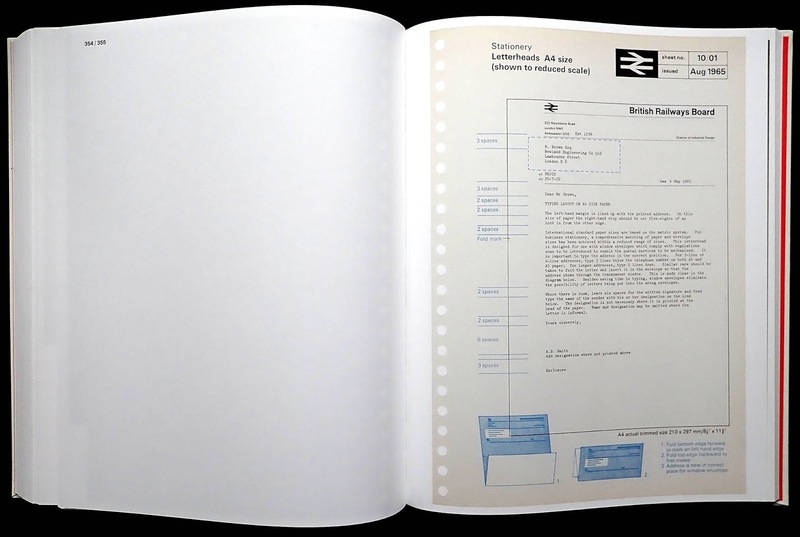 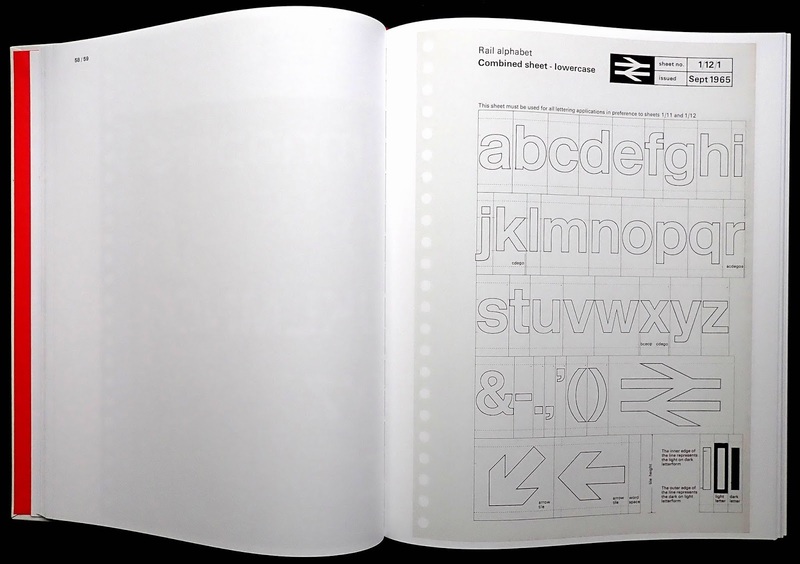 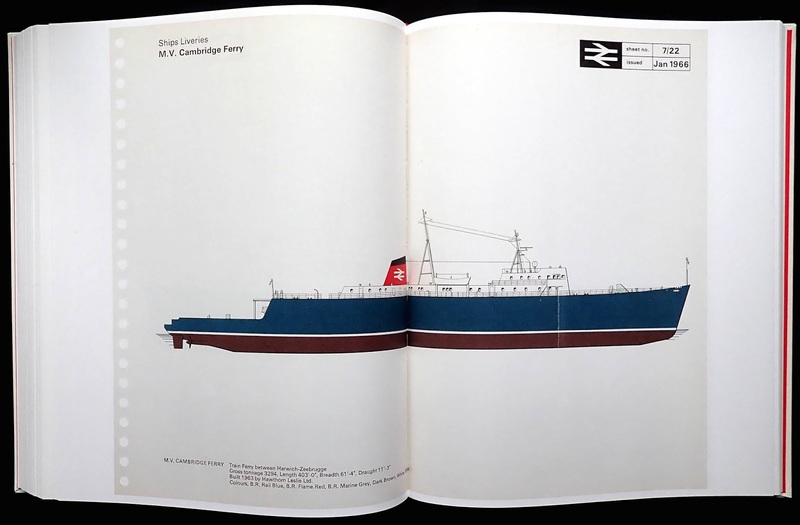 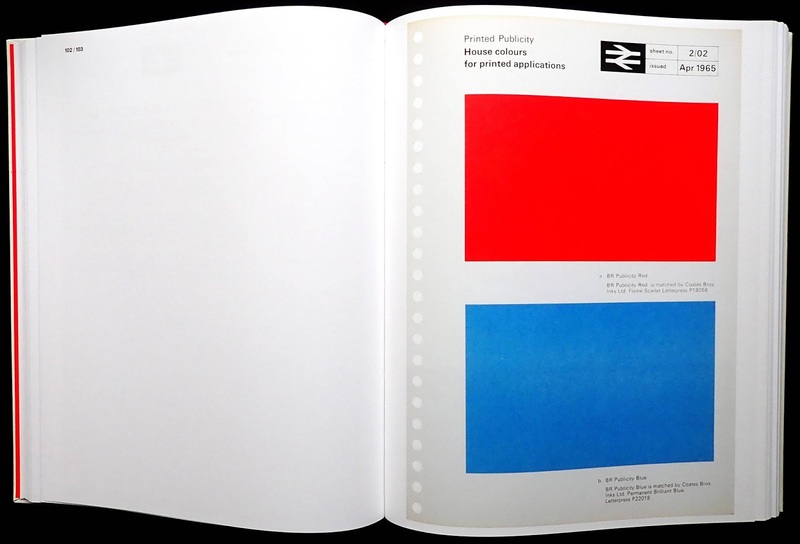 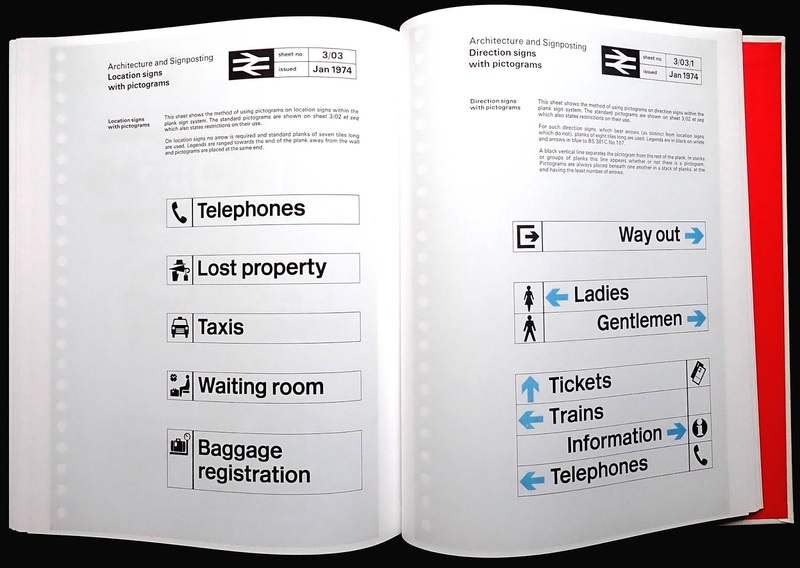 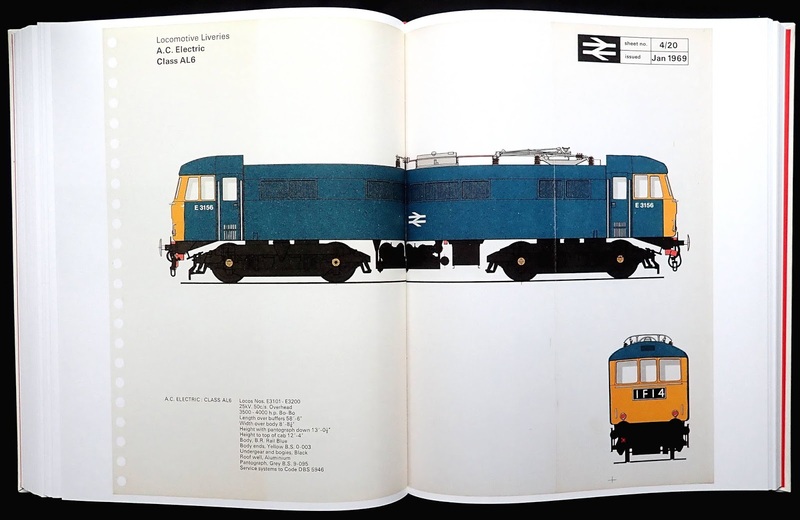 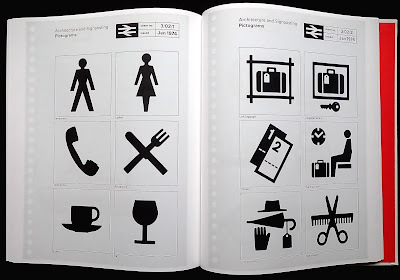 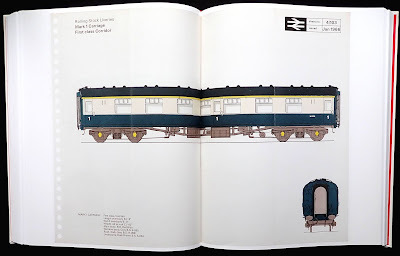 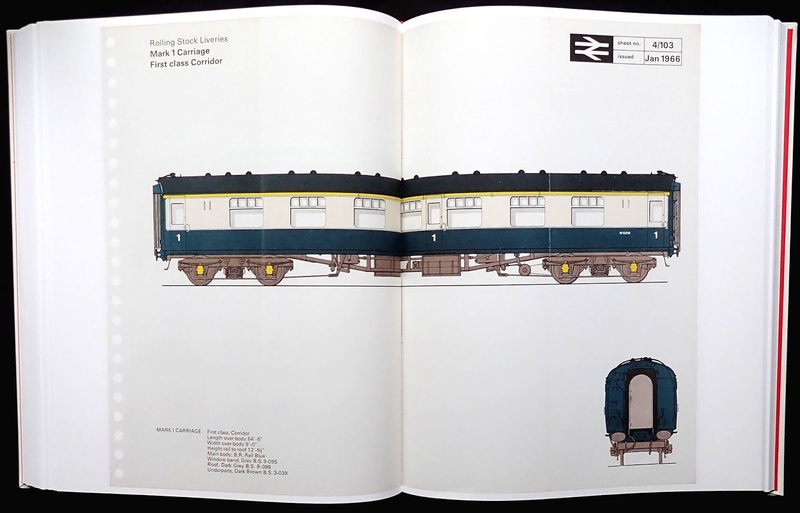 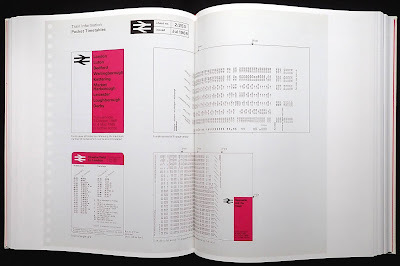 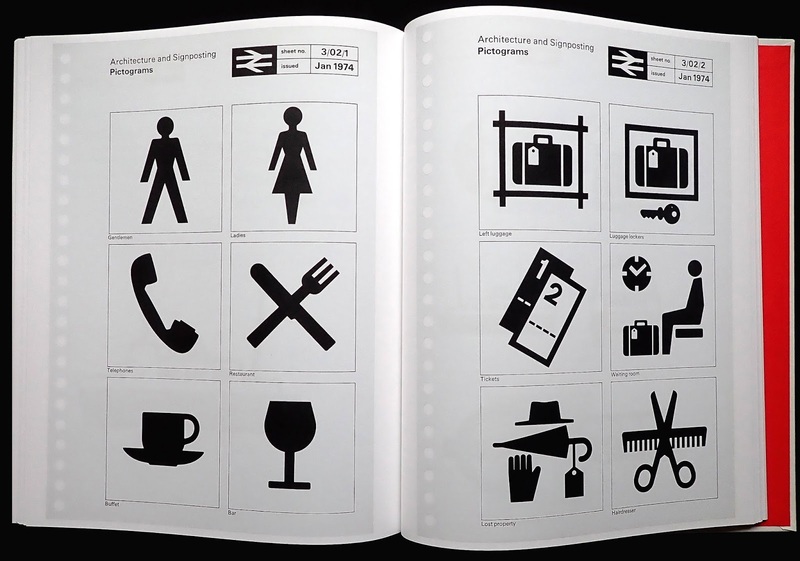 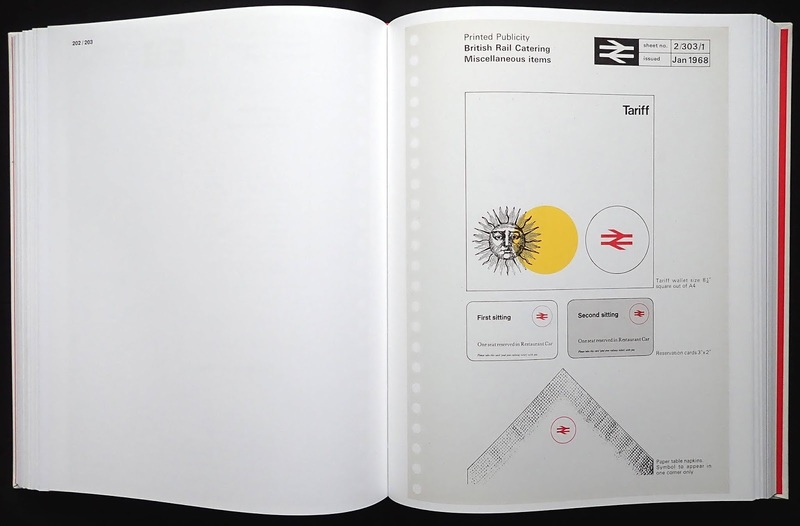 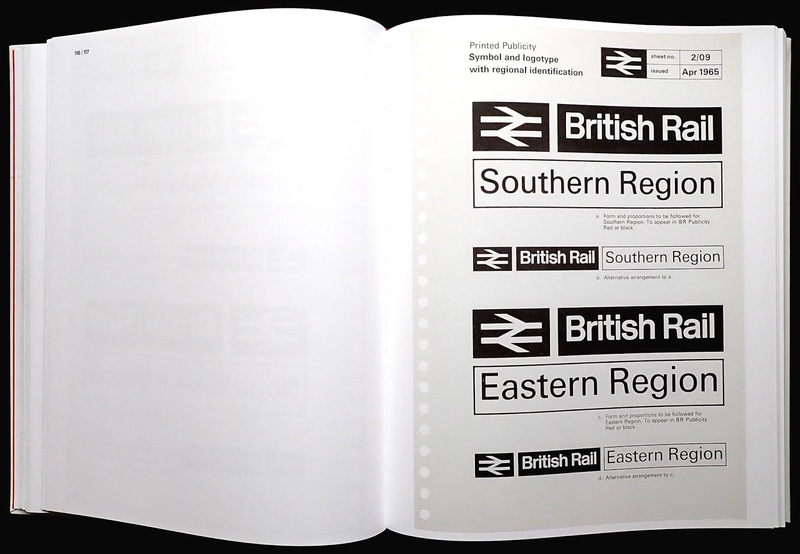 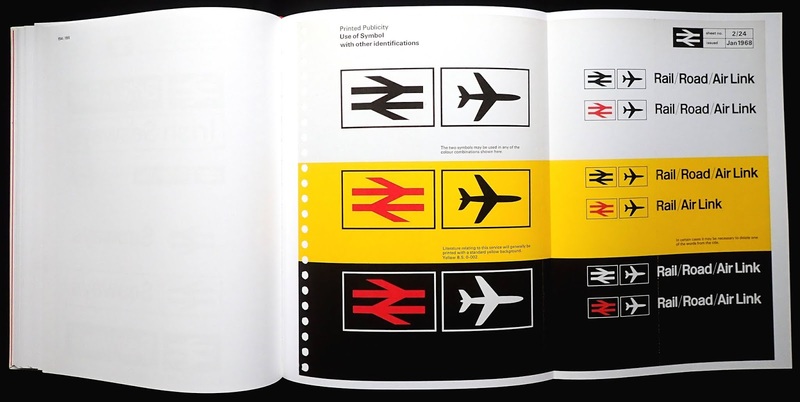 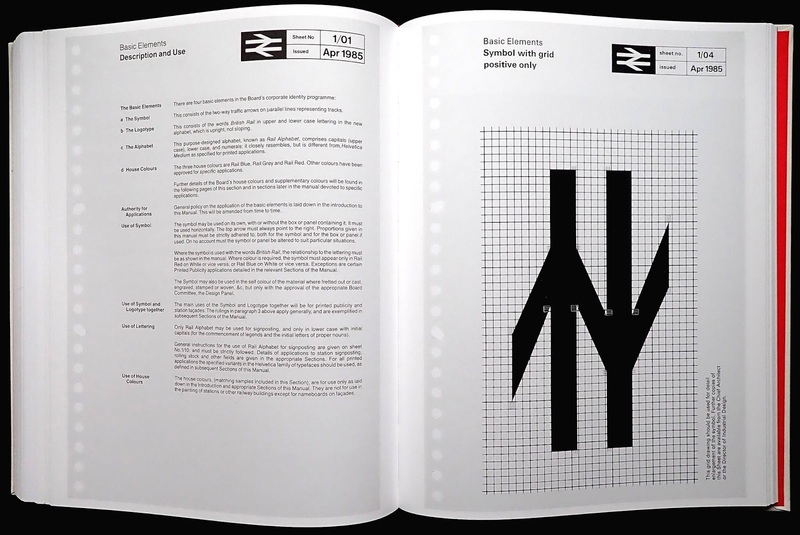 This British Rail design manual reveals a remarkably ambitious programme to brand everything the company did with a unified look. 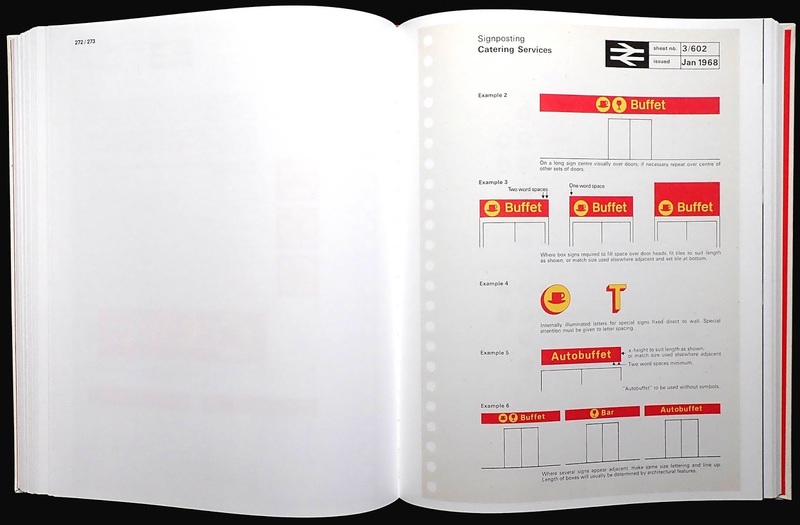 Transport companies and rail in particular are probably the most diversified as far as their public reach goes, BR was no exception, signs for all kinds of information for 2,500 stations (in tiny UK, too) engines, carriages, ships, freight wagons, trucks, staff uniforms, timetables, letterheads, clocks, menus. 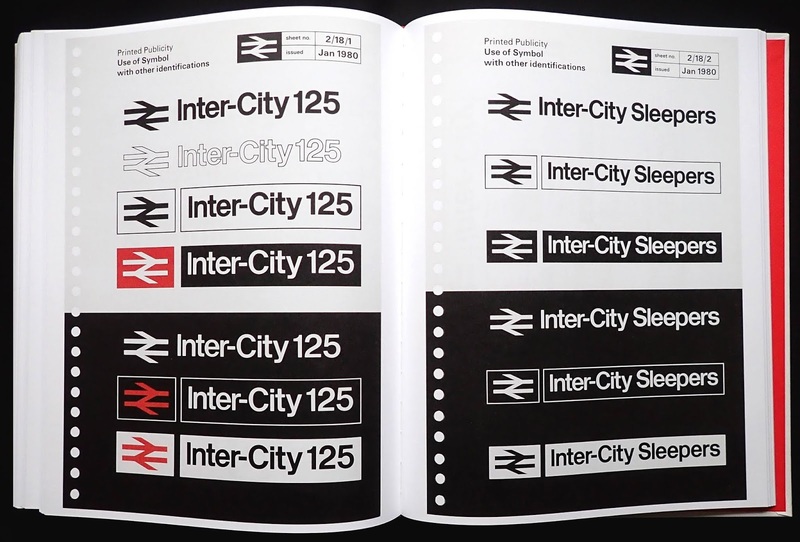 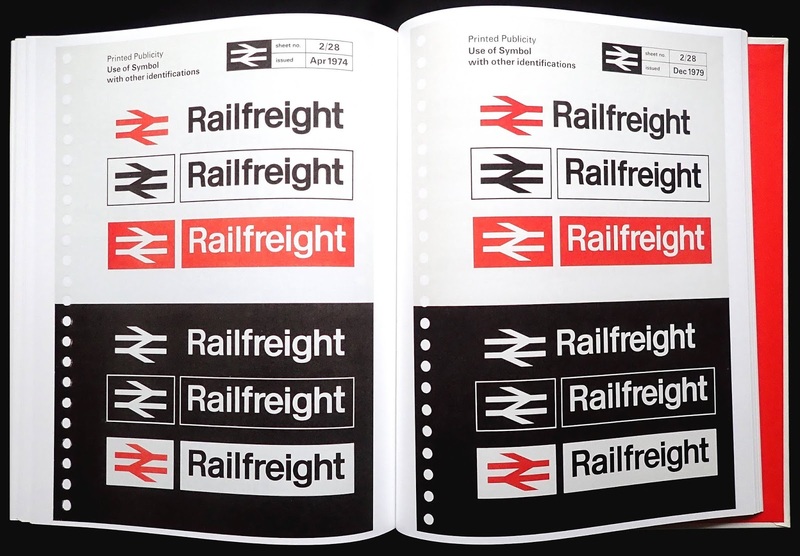 British Transport Films (part of BR) has a page for the type and colour for credit titles on their documentary films. 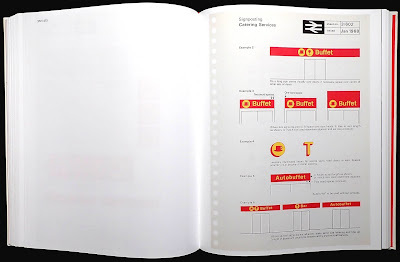 Oddly, I couldn't find any reference to ticket design. The common elements that run right through the book are how the logo should be treated and the use of the Rail Alphabet for the lettering. 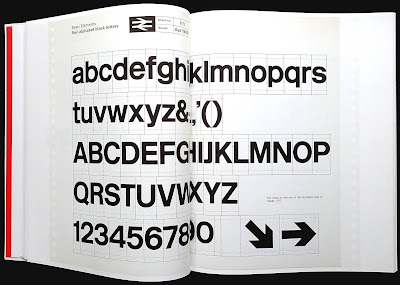 This alphabet was based on the Swiss designed Helvetica but with reduced ascenders (though not as severe as the McDonald's logo) a different capital J, Q, ampersand and other very slight refinements. 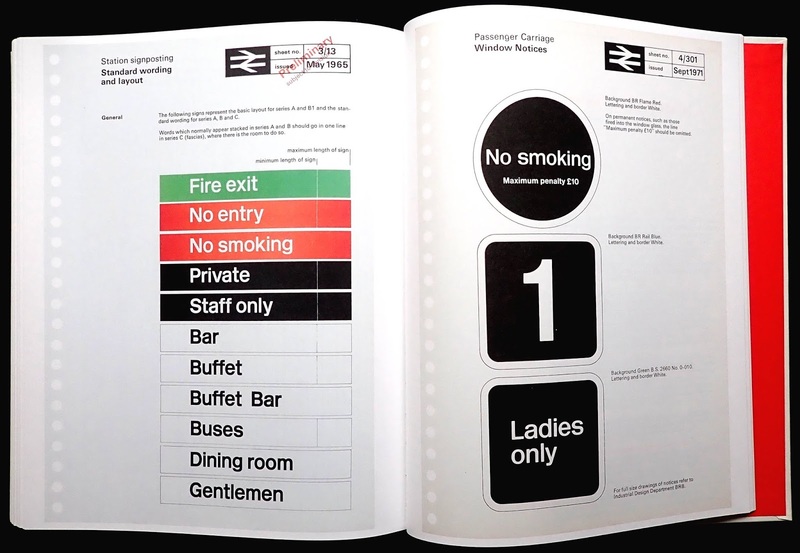 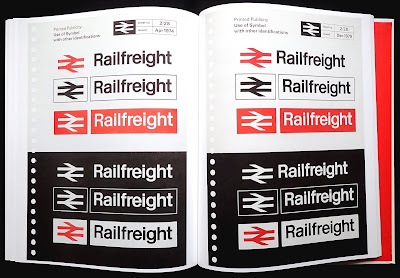 The Rail Alphabet was fine for signs and anything that didn't require text because Helvetica wasn't a common type used by British printers so most text settings used the French designed Univers or Monotype 215 and 216 which every printer carried. 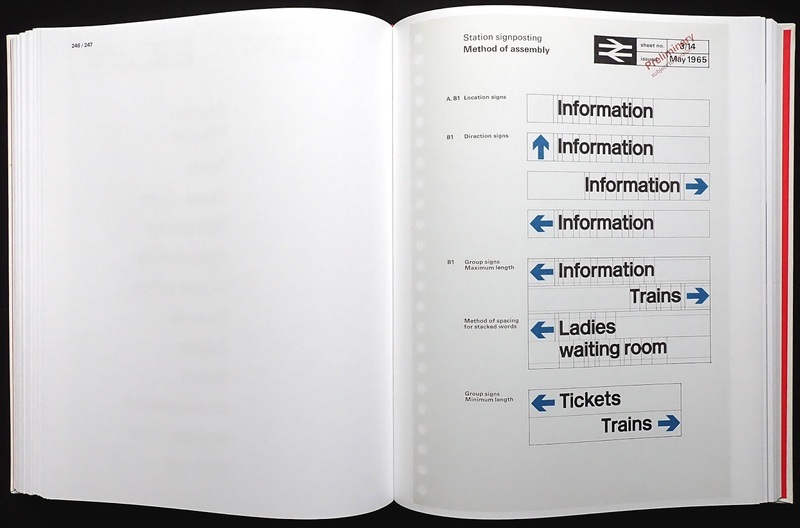 For a softer look, on menus for example, Baskerville roman and italic was specified. 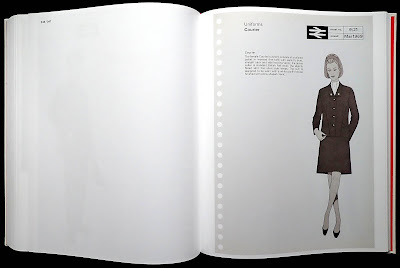 It's interesting to see how the BR look in 1965, when the first manual was introduced, didn't really change for years, a slight deviation in January 1980 was for the InterCity APT which used the Rail Alphabet but with rounded corners to the letters which also touched each other, other than that the sixties BR style ran right through to the nineties. 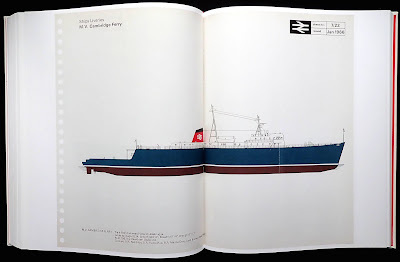 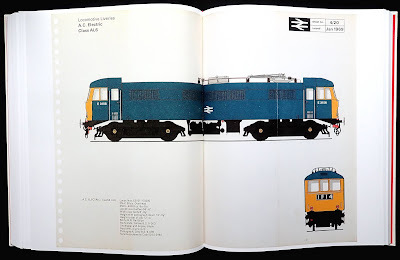 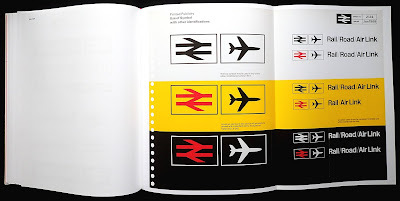 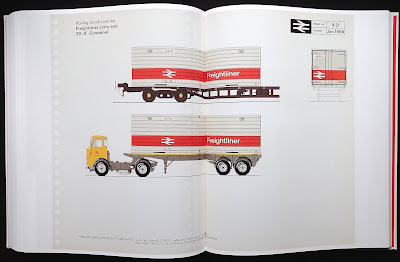 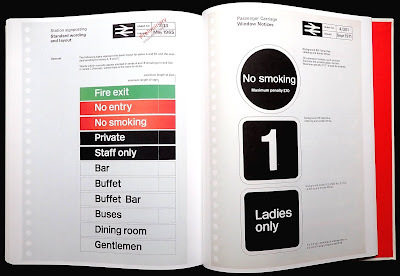 Tony Howard (former head of BR design) says in his Introduction that the style manual eventually became too inflexible and didn't allow various divisions of BR (InterCity, Freightliner, Network SouthEast et cetera) to develop their own branding to suit their customer base. 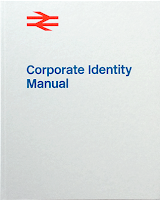 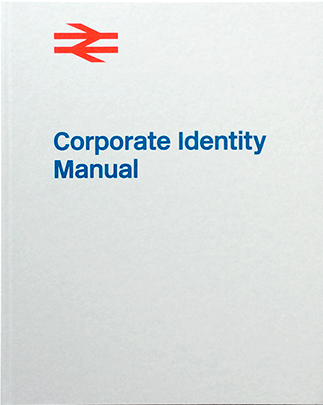 I found this interesting because a style manual, if it is to work properly, should allow the corporate identity to evolve into new areas and still maintain it's unique visual look. 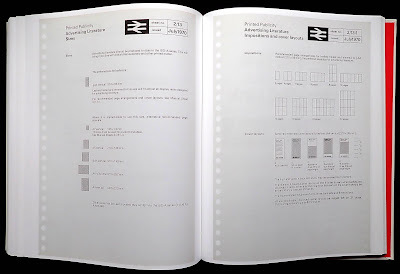 The book has 472 pages but it's worth saying that as it reproduces the original manual's ring-binder pages there is very little printed on the left-hand ones. 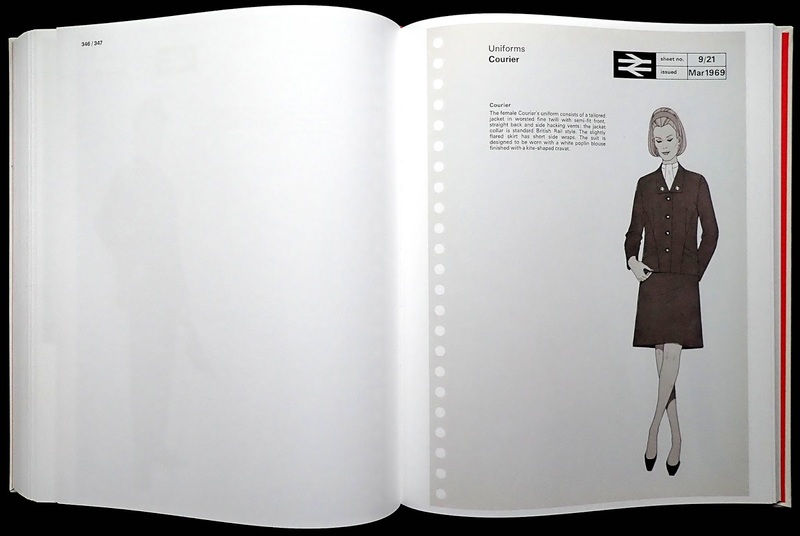 There are several fold-outs and I thought the reproduction was excellent. BR Publicity Red, Blue and yellow are reproduced as the original pages. 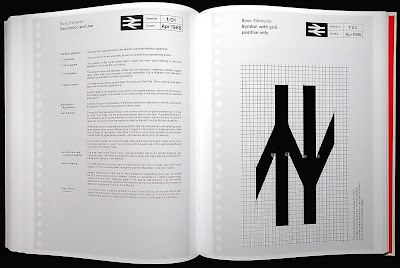 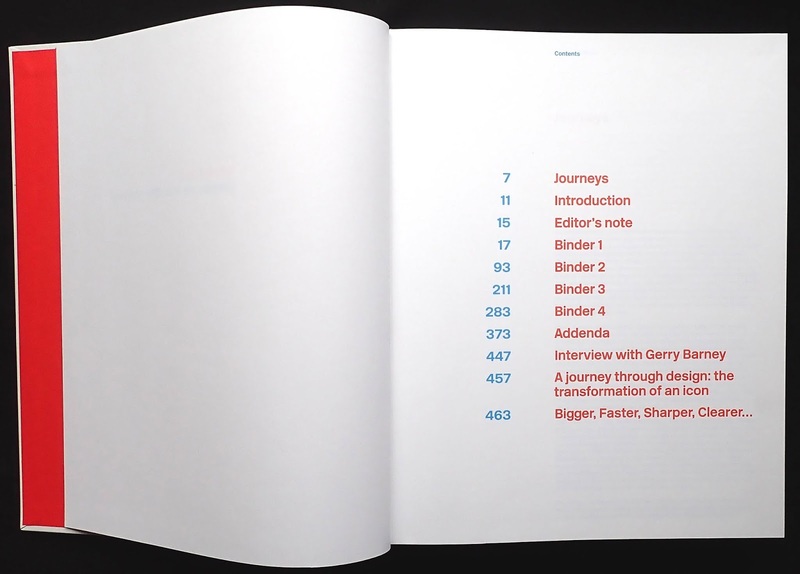 The back of the book has twenty-four pages with two essays and a long interview with Gerry Barney who designed the now famous and still in use BR logo. 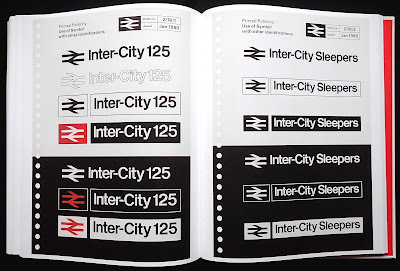 A wonderful book that will provide a nostalgic trip backwards for BR fans and a working tool for any designers who want to get to grips with corporate identity. 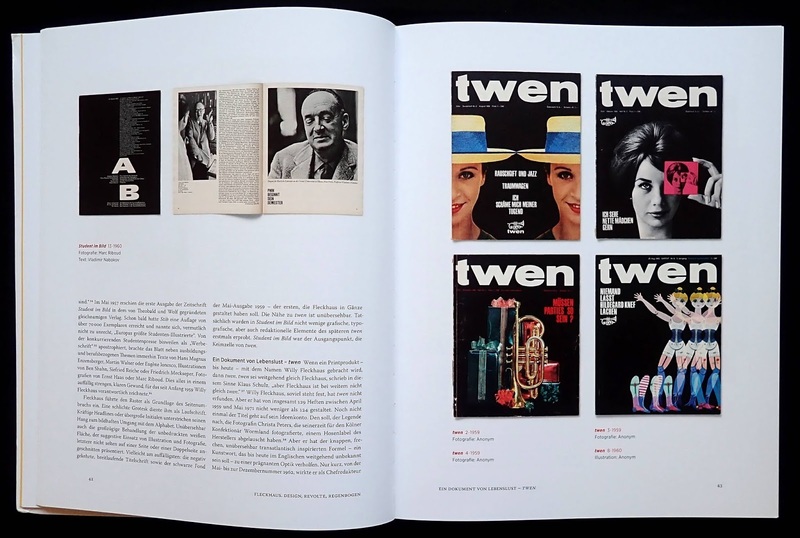 Outside of Germany Willy Fleckhaus (1925-1983) is best known for his art direction of the monthly twen* magazine through the sixties until it closed in 1970. 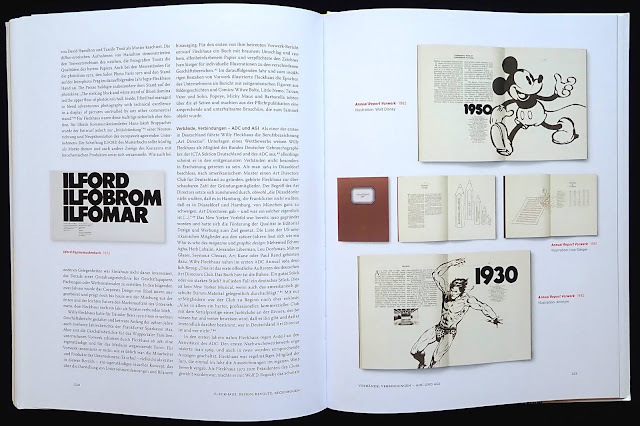 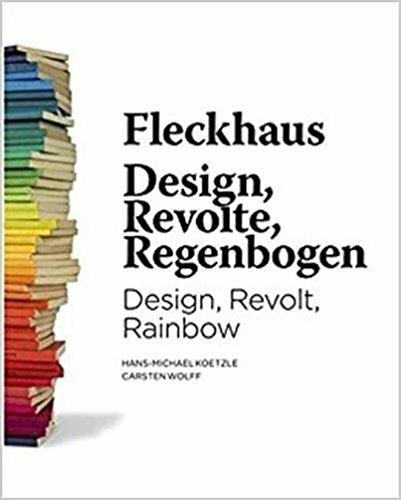 This heavily illustrated (and beautifully designed) book covering his career will interested anyone who wants to see more of his creativity for German magazine and book publishers. 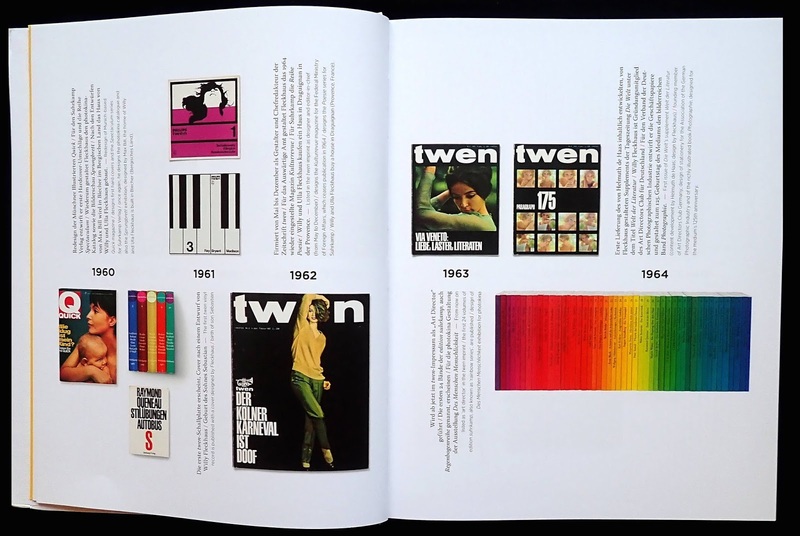 I bought twen during the sixties because visually it was a unique looking magazine with huge page and spread photos, mostly in black and white, relating to the interests of young adults, the book has pages of spreads showing how Fleckhaus used heading type in a pictorial way with white space and photos. 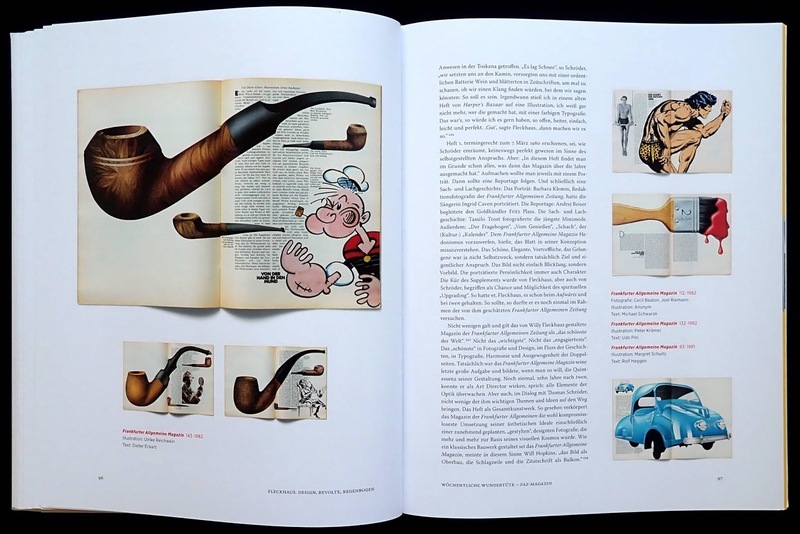 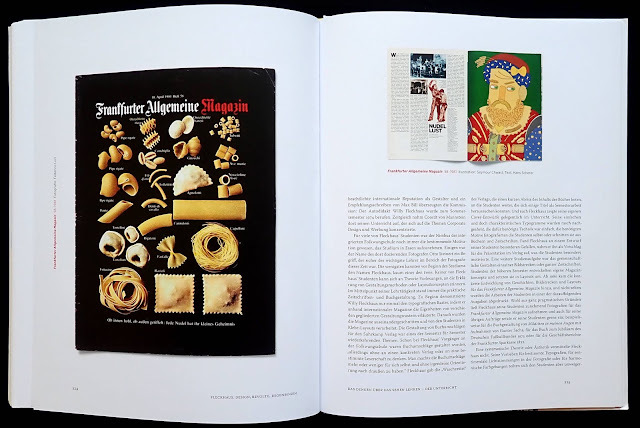 The book makes an interesting point that twen was photo heavy but it wasn't until Fleckhaus art directed the supplement to the Frankfurter Allgemeine newspaper (known as FAZ) that he did his best design work. 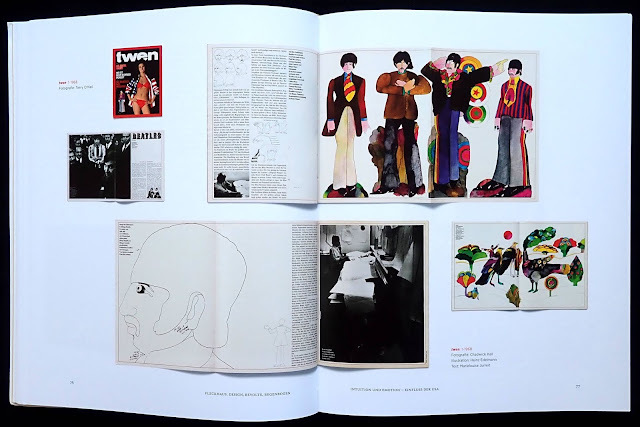 The weekly was read by a much broader audience than 'twen' so the editorial allowed for a wider creative interpretation, the covers and spreads shown in the pages show a wonderful blending of images and columns of text. 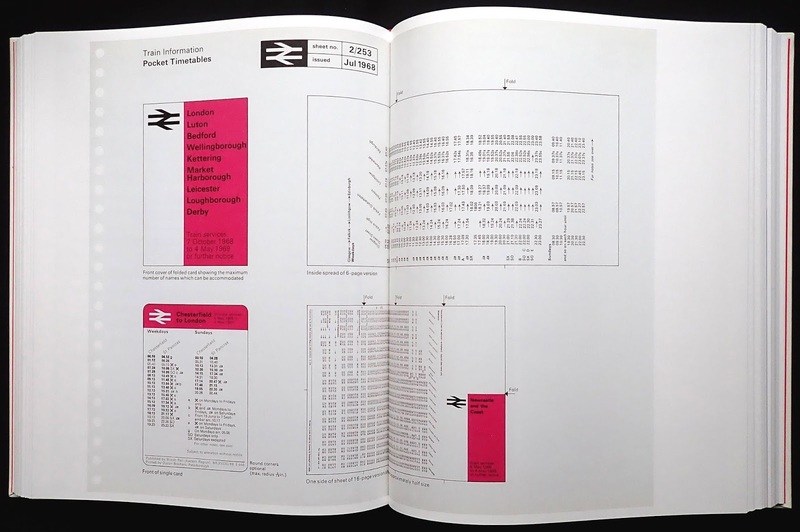 Page ninety-five has nine quite stunning Contents pages from 1980 to 1083. Like twen white space contributes to the overall page or spread impact. 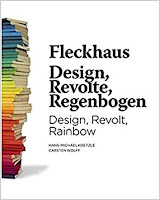 Fleckhaus worked for several publishers, in particular Suhrkamp, where he created dozens of covers including the well-known series of paperbacks that created a rainbow effect with their spines (this is partially shown the book's front cover). 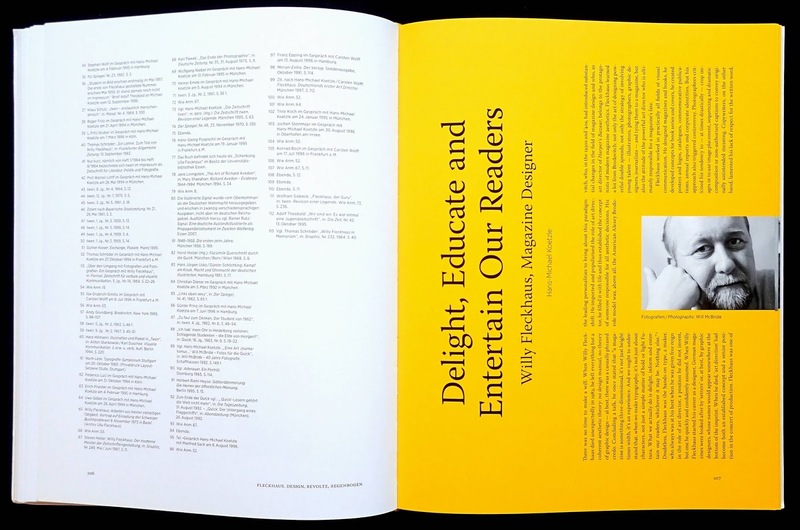 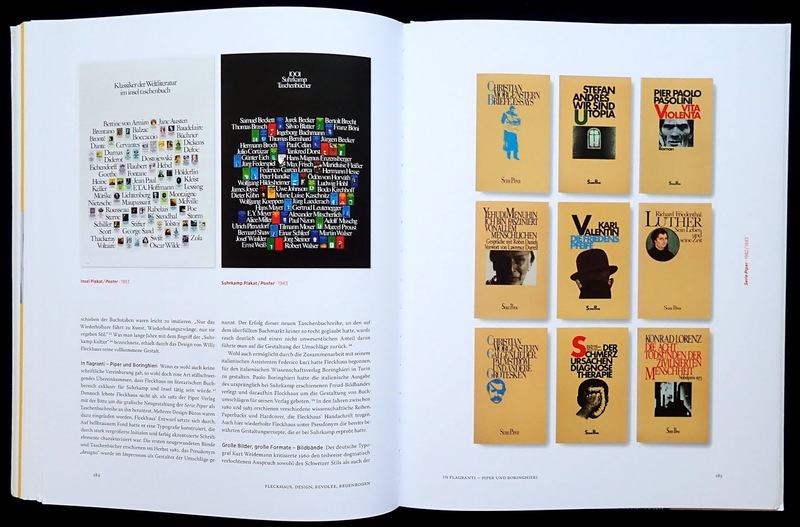 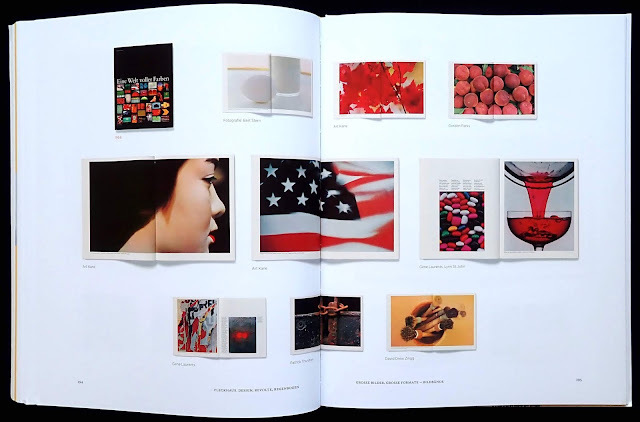 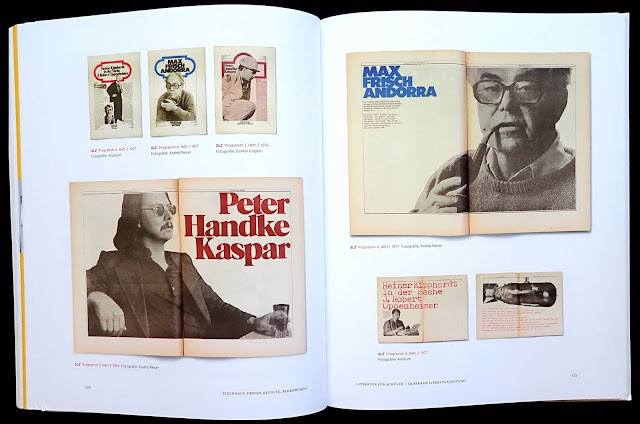 Like his magazine work the book covers have a Fleckhaus feel, page 185 shows nine covers for Piper Verlag with simple graphics and precise title typography. 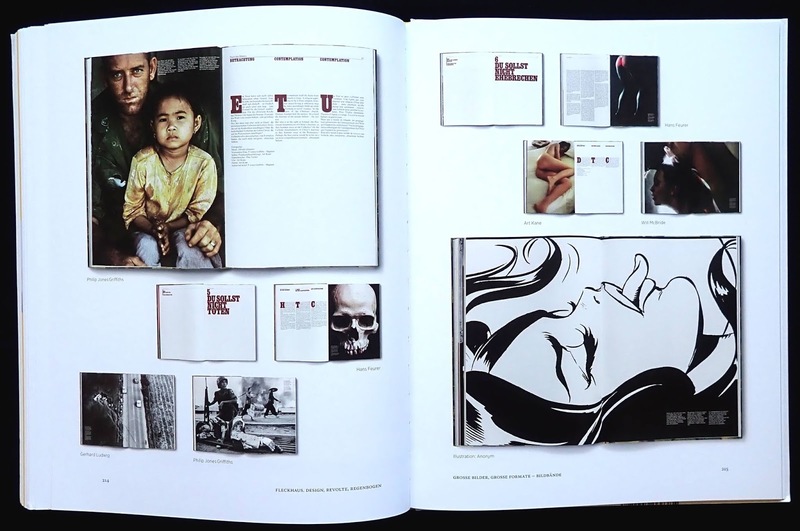 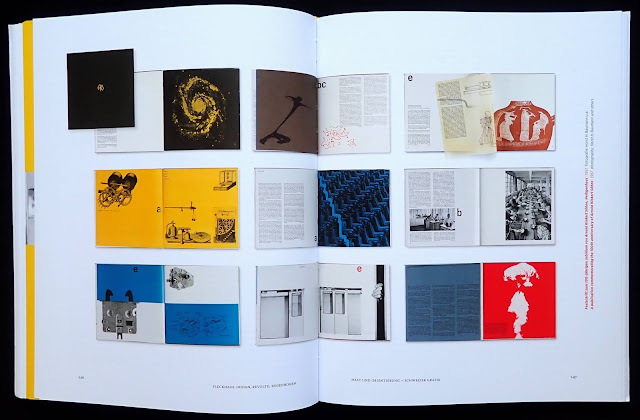 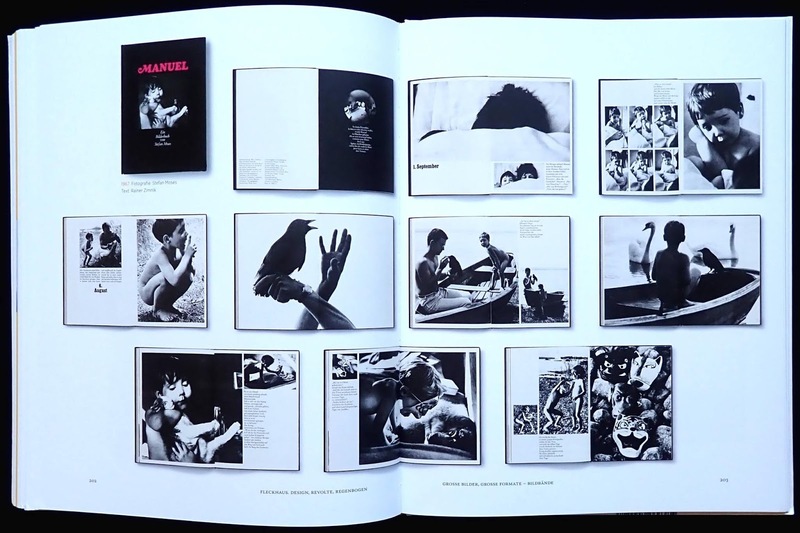 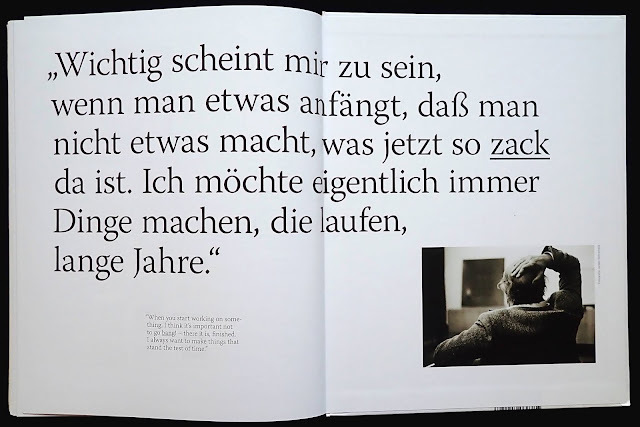 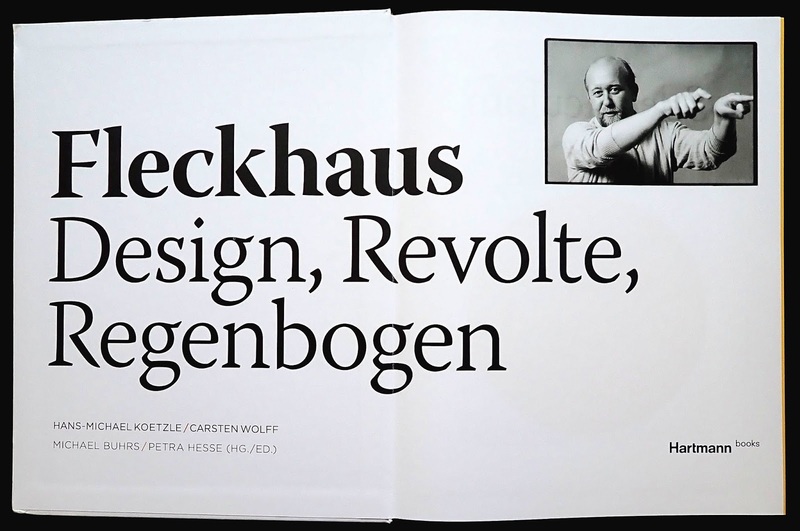 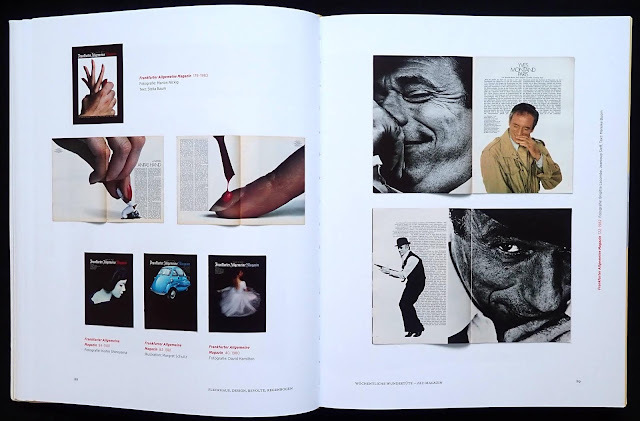 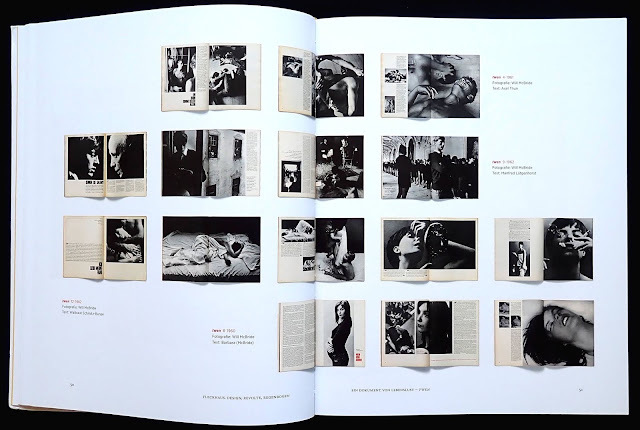 The book's last pages have a selection of photobooks that Fleckhause created for various publishers. The book is well produced and in German with an English section printed on thirty-five orange pages, which, rather annoyingly, you have to turn the book sideways to read. One of the authors, Hans Michael-Koetzle, has written a book about twen, unfortunately only in German.